General Superintendent of Deeper Christian Life Ministry, Pastor William Kumuyi and the Lagos State Chapter Chairman of the Christian Association of Nigeria (CAN), Apostle Alexander Bamgbola have called on politicians and Christians for the development of the nation, Nigeria. The duet spoke on Wednesday at the maiden edition of the Ministers’ Development and Networking Summit organized by the Deeper Christian Life Ministry, in collaboration with CAN and the Pentecostal Fellowship of Nigeria (PFN). The men of God admonished Nigerian preachers and politicians to discharge their duties with the fear of God, calling Christians to put effort into building a better Nigeria. 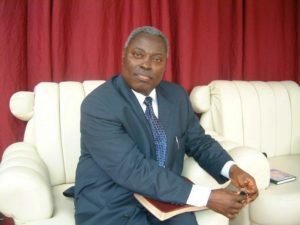 Kumuyi in his message delivered during the program themed, ‘Building the Builder’s Life and Ministry’, emphasized that the success of any ministry or nation is depended on the value placed on righteous living. While, the CAN Chairman responding to questions from journalists said, “church leadership is the highest calling; being called to be the servant of God is higher than being the president of any nation because you are responsible for the souls created by God, it is a very serious responsibility. “We need to have a new beginning in our nation because the Bible says if the foundation be rotten, what can the righteous do? That is, this nation has a rotten foundation; a foundation of corruption. 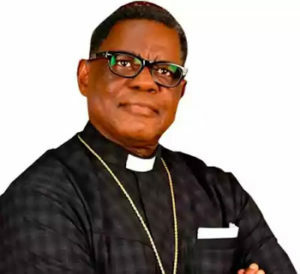 So, what the church is doing here is what we have to do in politics, business, and in all areas of human endeavor in our nation.” Bamgbola said. He explained that though as a nation we started off well in 1960 but the 1959 elections was the problem as he was old effort as at then to ascertain so, adding that we still suffer the consequence and the way forward is change. He called on leaders in churches to have the fear of God as well as politicians to stop acquiring unnecessary wealth as God has a plan for the country, Nigeria. This entry was posted in Belief, Bible Reading, Christianity, Faith, News and tagged Alexander Bamgbola, Christian Association of Nigeria, Deeper Life Bible Church, Ministers’ Development and Networking Summit. Bookmark the permalink.